While there are some definite perks to getting older, like new experiences and enjoying time with friends and family, there are some common health conditions that don’t make aging easy. 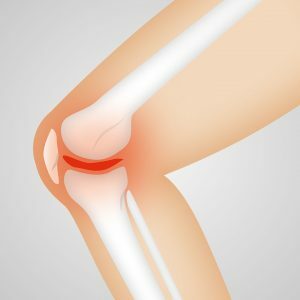 Osteoarthritis (OA) is the most common type of arthritis, and although it becomes more common with advancing age, other factors can play a role in developing OA. The good news is that even if you’re dealing with this condition, there are options to provide relief and improve your symptoms. Arthritis is the common term for joint inflammation. This inflammation can cause discomfort, pain, movement, and mobility problems. OA is the most common type of arthritis, and the weight-bearing joints like the knee and hip are most often affected. According to the American Physical Therapy Association (APTA), the exact cause of arthritis remains unknown; however, current data shows aging is the main cause. Other factors that can play a role in developing OA are: genetics, past injury, occupation, sports, and obesity. Obesity plays a definite role in causing damage to weight-bearing joints; you may not be able to do much about your genetics, but staying at a healthy body weight can lessen the strain on your joints and help reduce the risk of developing OA. Joint noise like cracking, creaking, crunching, etc. Your physical therapist can be a front-line treatment against your osteoarthritis. Physical therapy can help avoid surgery, depending on the severity of your OA. Every body is different and each case of OA is different; but according to APTA, treating your osteoarthritis with physical therapy and exercise can help relieve your symptoms and slow your OA’s progression. Your physical therapist will assess your condition, how your OA is affecting your movement, daily activities, and more and design a custom treatment plan to help decrease discomfort while improving your mobility and movement. Are you sick of suffering with osteoarthritis or other movement problems? Body One Physical Therapy is here and ready to help get you moving in the right direction. We’re locally owned and operated, with four locations serving Central Indiana: North Indianapolis, South Indianapolis, Fishers, and Zionsville. Don’t accept pain as your constant companion and a lack of mobility as the cost of getting older: call Body One today and let one of our experienced, caring physical therapists help get you feeling like your old self again!